Metropolitan Design/Build is a fully licensed roofing contractor that has been doing business in Damascus and the metro area for over 26 years. Every roof is different, and with each roof comes its own different set of problems. In our area, the four distinct seasons expose roofs to several different types of weather temperatures and conditions. Roofs in Damascus are exposed to the high heat of the summers sun, heavy spring rains, and the harsh hand of old man winter with cold temperatures and many years large amounts of snow. Even the best roofs in Maryland eventually wear out from our harsh seasons. At Metropolitan Design/Build we are certified roofers experienced in inspecting and replacing Damascus roofs for signs of potential problems. We are able to advise homeowners if issues can be repaired or if a new roof is required. There are many items to inspect while examining a roof such as the overall condition of the roof material (shingles, metal, cedar shake, or slate to name a few). We inspect, the roofs flashing, roof vent pipes, ridge vents, how your roof is designed to run water off and if it’s doing the job properly. We also check to make sure your roof requires caulking or other repairs. Contact Metropolitan Design/Build to have the roof on your home in Damascus inspected or replaced today. Call (301) 870-2145 – We are a locally owned and run roofing business! help. (301) 870-2145 If your house has become damaged in some way it is very important that you seek assistance quickly to prevent further damage. Damaging storms pass through Damascus, MD area all the time. If you have been affected by a hail storm or your house has become damaged in some way, do not delay contact Metropolitan Design/Build for fast reliable professional repairs. Emergency roof repairs, roof hail damage, water damaged drywall, water leaks can quickly damage ceilings, walls, floors and not to speak of damaging furniture and other personal effects. We have experience dealing with all the major insurance companies and can assist you with your entire repair process. 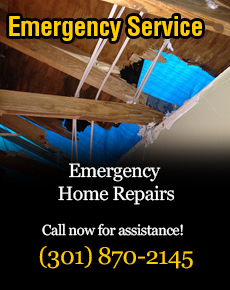 If you live in Damascus and have experience damage to your home and need emergency repair services, call us (301) 870-2145. 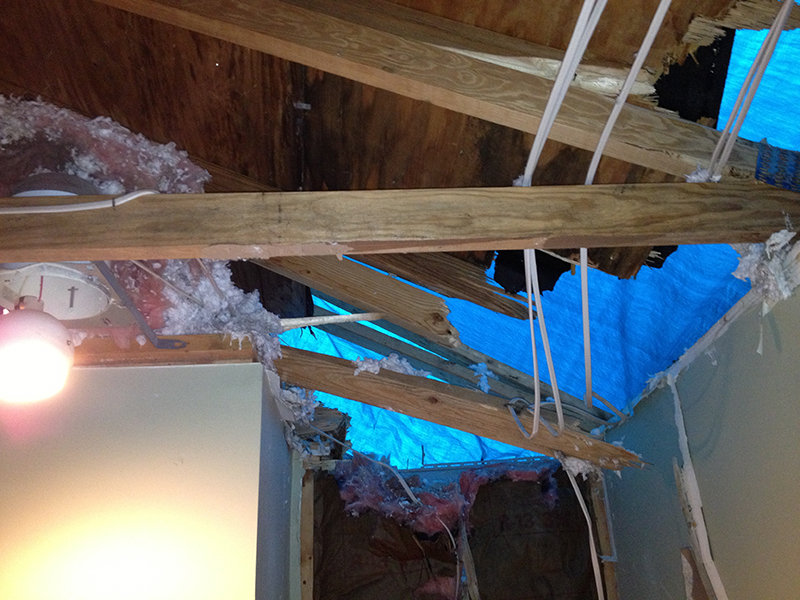 We are Maryland roof hail damage experts! 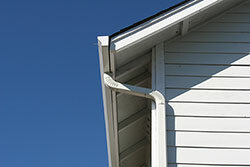 At Metropolitan Design/Build we replace and install new gutters in homes throughout Damascus, Maryland. We have a contractor licensed in the state of Maryland and we are bonded and insured to do business in Damascus, MD. Don’t be fooled. Installing gutters and repairing them is not a job just anyone can do right. It takes a trained contractor to do the job properly. 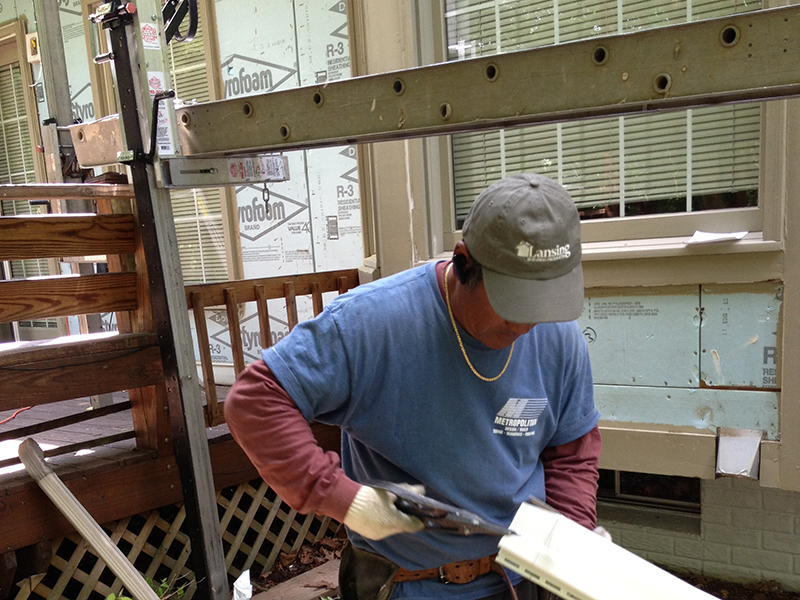 Metropolitan Design/Build has been installing and maintaining residents gutters in Damascus for over 26 years. We are the contractor that people have learned to rely on. We are a full-service gutter contractor in Damascus installing any type of gutter from aluminum seamless gutters, leaf guards, leaf filters to copper gutters and installations of rain barrels. If you need any type of gutter repair or are in need of new replacement gutters in Damascus, please contact us today at (301) 870-2145 or by completing our online form on this page. No matter if you are remodeling your existing Damascus home or building a new one, new siding installed by Metropolitan Design/Build will quickly bring a whole new look to your home. We have been installing new siding on homes in the Damascus area for many years and are experienced in assisting homeowners choose the right colors and products. The advancements in siding over the years have yielded great benefits from making Damascus homes more airtight and energy efficient to extend the lifespan of siding products, adding years of beauty to your home. Many new high tech materials dominate the siding and trim industry and homes in the Damascus directly benefit from those advancements. The swing in temperature in the Maryland area expose our homes to harsh weather conditions and properly installed siding by Metropolitan Design/Build will save you money. Contact us if you’re live in the Damascus and need new siding or have a new siding project. We can provide estimates and information on the new advancements in the siding industry that your Damascus home will benefit from. At Metropolitan Design/Build we are a leader in replacement windows. Do your windows leak air? Do you have single pane glass in your Damascus home? Is your Damascus house more than 10 years old? If you answer yes to any of these questions you can greatly benefit from replacement windows installed by Metropolitan Design/Build. Today’s new high energy efficient windows have many features to choose from such as the number of window panes to the type of materials of the replacement windows. 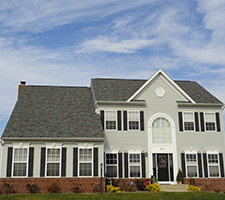 We can assist you in determining what type of window is the right fit for your Damascus homes needs. Our expert windows installers are able to help you save money on high energy bills and provide you with a higher level of comfort and security with new replacement windows. Contact us today and we will provide you with a window replacement estimate. Looking to have a new door installed or have an existing worn out door replaced in your Damascus home? You have come to the right place. Metropolitan Design/Build has been installing new doors and changing out old doors of over 26 years in Damascus. It is not an easy job to install a door. It takes skill and experience to do the job right…something we have done countless times. Doors come in a wide variety of styles and materials and our expert technicians will discuss the different options, pros and cons of different doors for your particular application. We have installed just about every type of door such as entry doors, storm doors, screen doors, steel doors, wood doors, fiberglass doors, sliding doors, tilt doors, garage doors, bi-fold doors, French doors, and pocket doors to name just a few. No matter what type of door your Damascus home requires, contact Metropolitan Design/Build and we will install or replace it the right way for an affordable price. Call us today or complete our online form on this page providing us with the information regarding your Damascus door job. Metropolitan Design/Build is a premier kitchen remodeling contractor in Damascus. We have over 26 years of experience in designing and remodeling kitchens throughout the area. Our prices are competitive and affordable. We don’t cut corners and provide homeowners in Damascus with state of the art kitchen designs and layouts. Our expert designers and craftsmen will assist you in all aspects of your kitchen remodeling project and provide meaningful suggestions and solutions. At Metropolitan Design/Build, we are members of the National Association of The Remodeling Industry (NARI) and members of the Better Business Bureau (BBB). Each kitchen project is tailored to each individual job. Contact us today and we will be happy to meet with you at your Damascus property and provide an estimate for your kitchen remodel project. At Metropolitan Design/Build we have been remodeling Damascus, Maryland bathrooms for homeowners for over 26 years. We are professionals, hold licenses in the state of Maryland to do work in Damascus. We are licensed and bonded and have the experience to do the job right. Not just any contractor can design and build a bathroom properly. Our vast knowledge, in renovating and designing bathrooms comes from experience doing countless bathroom remodeling projects in the Damascus, Maryland area. We work directly with you and provide meaningful advice and realistic solutions so that your bathroom remodeling project is exactly what you want. We know the trends your Damascus neighborhood and what are the best fixtures for each application. Every house is different and every bathroom remodeling project brings its challenges. 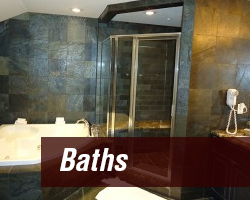 We are professionals at what we do and provide beautiful bathrooms for our customers. If you are looking to remodel or are considering remodeling your bathroom and you live in the Damascus area, contact us today and we will provide you with a bathroom remodeling estimate that is competitive and affordable. Are you looking to expand and grow your living space in your Damascus home? Maybe add a garage or other structure on your property? You have come to the right place. At Metropolitan Design/Build we can design and build that new addition to your Damascus home at an affordable price. We specialize in home additions from adding new rooms, to expanding existing rooms or adding bathroom additions, bedroom additions, garage additions, room additions, second story additions, kitchen additions, family room additions or home office additions to your Damascus home. At Metropolitan Design/Build, we are licensed, bonded and insured in the state of Maryland which allows us to build additions for homeowners in Damascus. Contact Metropolitan Design/Build today at (301) 870-2145 or by completing our online form on this page and providing us with details of your Damascus home additions project. Metropolitan Design/Build specializes in building outdoor structures like decks, gazebos, pergolas, sunrooms, and screened rooms in Damascus, Maryland. We are licensed, bonded and insured in the state of Maryland and have been building and repairing decks and other outdoor structures for homeowners throughout the Damascus area for over 26 years. We are a full-service home improvement contractor that can build exactly what you envision on your Damascus property. We work with a wide verity of building materials such as natural hardwoods, Trex, Timber Tech, and Azek to name just a few. We build decks and other structures that are beautiful, safe and low maintenance. If you are considering a new deck or outdoor structure and you live in Damascus contact Metropolitan Design/Build and we can provide you with a competitive estimate. Call us today (301) 870-2145.